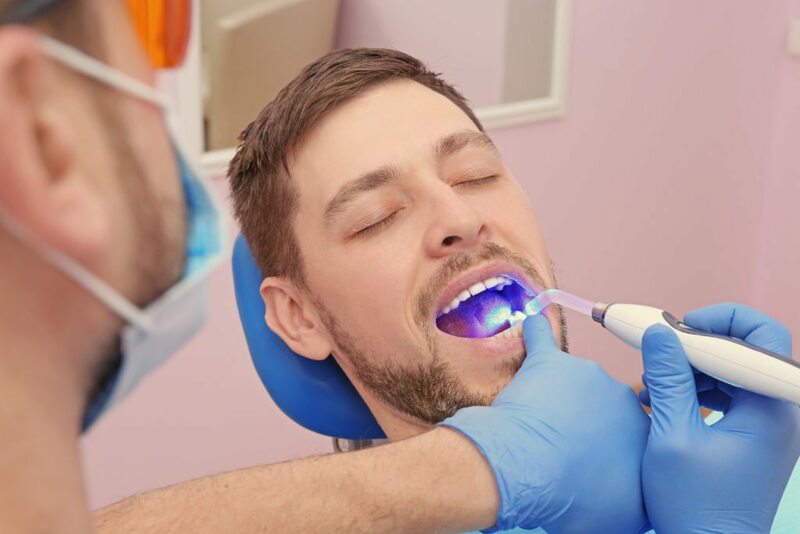 If you’re one of the millions of Americans who have cavities, chances are you’ve discussed whether you should get composite or silver amalgam fillings. Both have their pros and cons, and what you choose with the guidance of your dentist will depend on your unique situation. When getting a filling, there’s more than just aesthetics to worry about. Sure, you want to look good. But you also want to ensure the filling is strong enough to withstand the bite force that comes along with chewing food. Composite fillings, also known as resin fillings, are made of ceramic and plastic compounds. This filling material is commonly used to fill teeth that are more visible when you smile, such as your front teeth. This is because the color tends to more closely resemble that of your natural teeth. Many dentists choose to only use composite filling material on front teeth, because your back teeth tend to take more of a beating through chewing, biting, and even grinding at night. Additionally, composite fillings tend to cost more for the patient and require a very dry surface to cure correctly. This means they can take longer to fill and are prone to issues if the surface wasn’t completely dry. Composite filling don’t last as long as amalgam fillings, with their average lifespan being about 7 years. That isn’t to say that they can’t last longer. The lifespan of your filling will depend on they types of food you’re eating and how you chew. Amalgam fillings are a favorite among dentists because of how strong they are. And, they’ve been proven to last as long as 20 years, with most averaging about 10 years. Dentists tend to choose amalgam fillings for molars and premolars because of their superior strength. Since most people can’t see what’s happening at the back of your mouth aesthetics isn’t an issue in this case. Amalgam is also much more affordable that composite fillings, making it perfect to meet the needs of a variety of situations. They’re low maintenance and can be filled in areas that are difficult to keep dry, such as below the gum line. The short answer is yes. While there was a time when people were worried that amalgam fillings would lead to mercury poisoning, countless studies have proven that the amount of mercury patients are exposed to is less than what they would be exposed to when breathing air or eating fish. Amalgam fillings have proven to be a great choice for 150 years. Determining the best filling for you will be a decision largely made between you and Dr. Pendleton. He’ll discuss the side of the filling required, where the cavity is located, any concerns you have about cost and cosmetics, and then make a recommendation. His goal is to ensure your cavity is filled with the best substance that will last for as long as possible. Give Dr. Pendleton and our team at Rockdale Smile Center a call to learn about your options and schedule an appointment. We can replace old fillings and fill new cavities, depending on what your needs are.